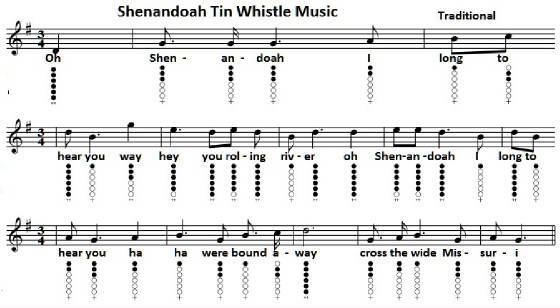 Shenandoah Tin Whistle Sheet Music. An American folk tune / song. I have seen many version of this song on the internet with most of them stuck in the same key and not too kind to the musician. I have made this one with the whistle not going below the low D note as that's the last D you can play. I have also included the lyrics within the sheet in case one gets lost.